Circuit Castelnou - Serrabonne - "Les Orgues"
This one day tour will allow you to discover Castelnou, one of three “most beautiful villages in France” located in the area (the 2 others are Eus and Villefranche-de-Conflent) then the southing priory of Serrabonne or the very surprising geological site of Orgues near Ille-sur-Têt . 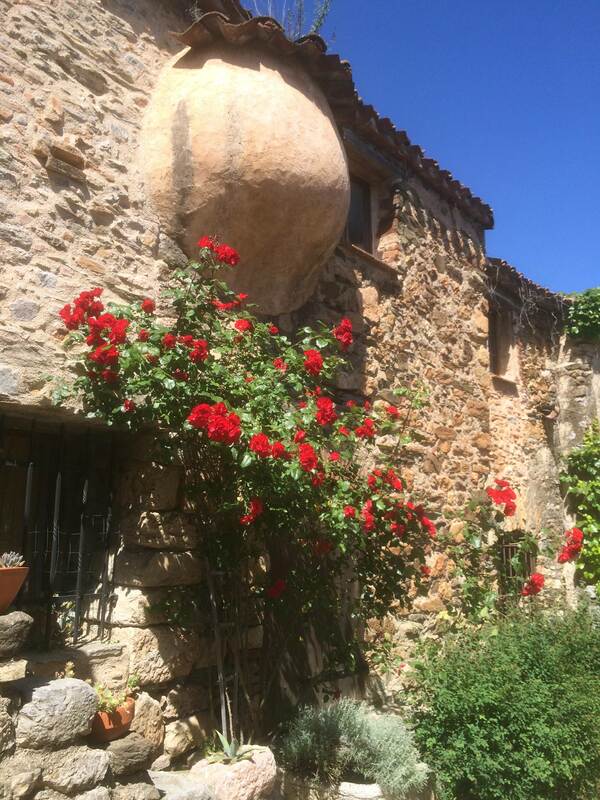 The beautiful village of Castelnou is located 40 minutes away (40 kms). Leaving the hotel, turn left at the roundabout, take the D914 towards Perpignan. 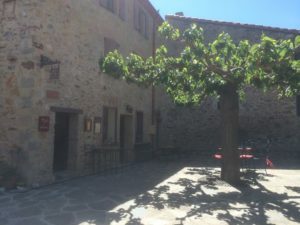 Take exit 8 and follow Thuir then Castelnou. This village of 300 inhabitants is perfectly preserved. 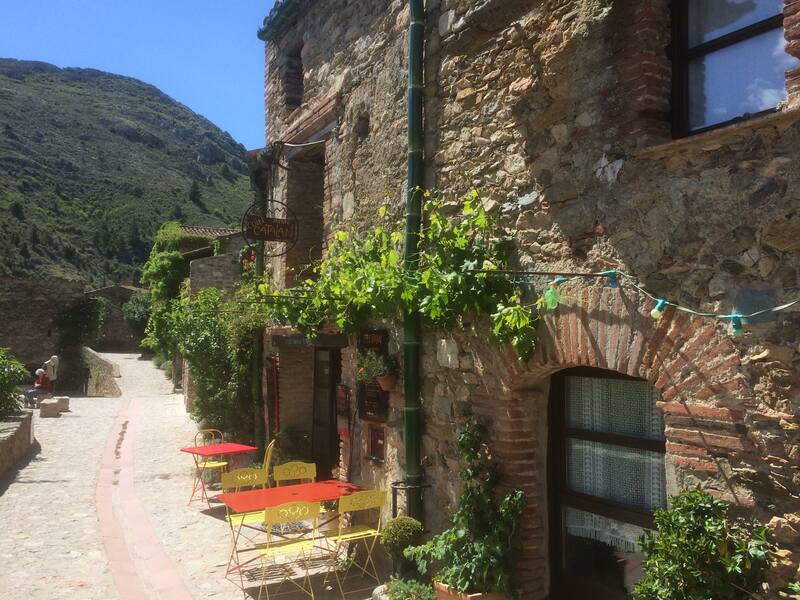 Coming from Thuir, the discovery of this village with the Canigou in the background is fantastic. Once in the village, you will find cobbled & winding streets, lovely houses, particularly flowered balconies, craft shops and lots of stairs to join the castle. Then we invite you to visit the Priory of Serrabone or the surprising geological site of “Les Orgues”. It would be a bit ambitious to visit both places. 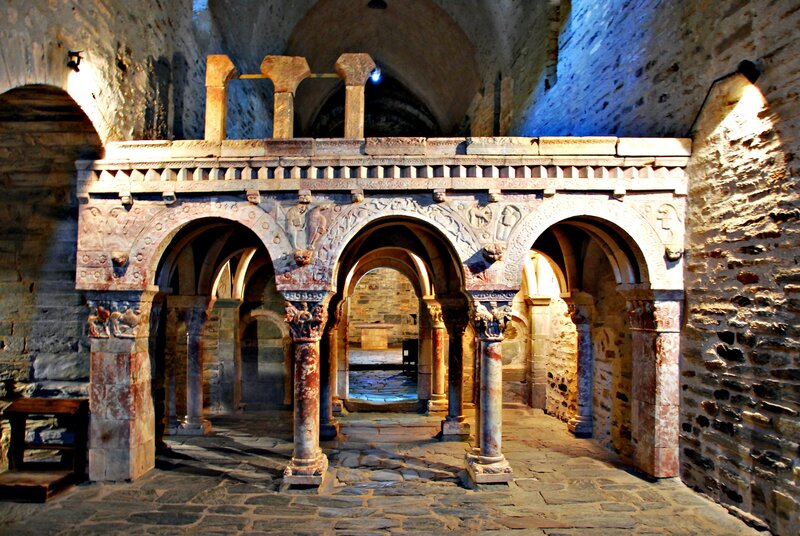 This solitary perched priory, built in the 11th century is a wonder of Romanesque art. 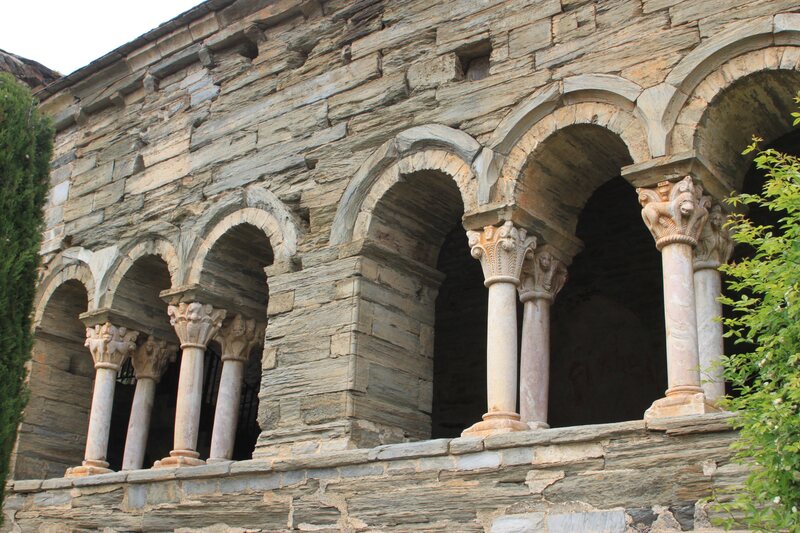 The south gallery and the pink marble podium were carved by the best sculptors of the region. 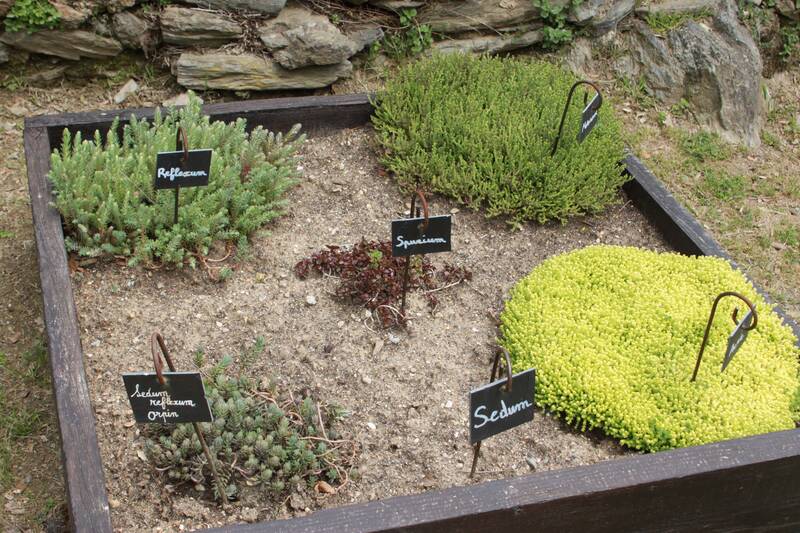 Remember before returning to smell the Mediterranean species of the botanical garden. 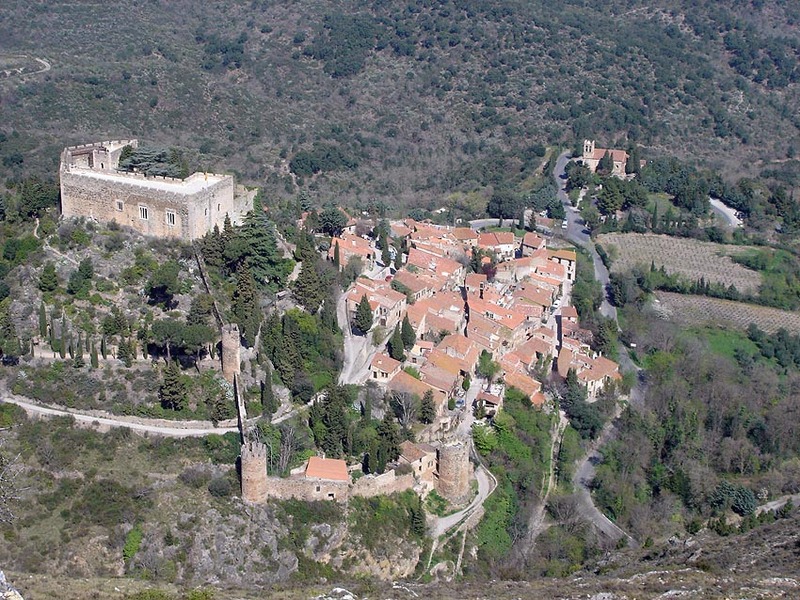 To come back to the hotel (1 hour – 65 kms), go down the D618 until Bouleternère then get the N116 road to Perpignan. You will pass south of Perpignan to join the D914. On the D618 in the direction of Argelès. On the D618, you can stop at the “Relais de Serrabone” to discover local products. 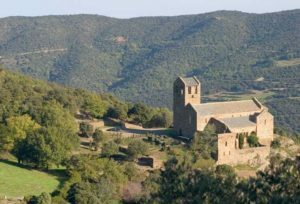 From Castelnou, it takes 20 minutes (13 kms). 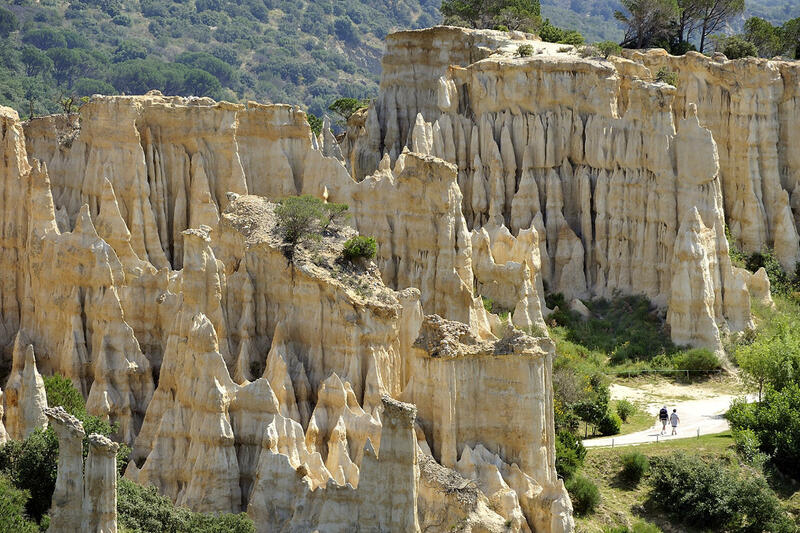 Get the direction of Ille-sur-Têt, the geological site is located near this town of 5000 inhabitants, just on the other side of the Têt river which rises at the foot of Carlit peak at 2400 meters, through perpignan and then flows into the sea in Canet-en-roussillon. This is particularly surprising geological site. You may think about Cappadocia in Turkey and some landscapes of the USA. 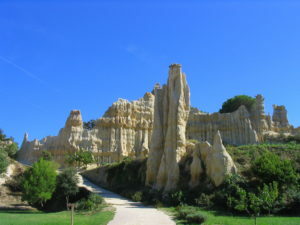 Hurry to walk through this unique site because due to the severe erosion of its sandy and argillaceous rocks, it gradually disappears each year. To return to the hotel, it takes 45 minutes (49 kms). Get the N116 road to Perpignan N116, You will pass south of Perpignan to join the D914 in the direction of Argelès. 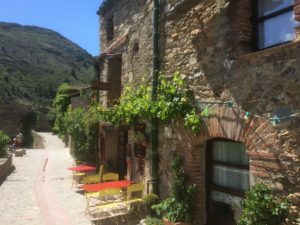 take the exit 13 and follow “Collioure par la Corniche”.